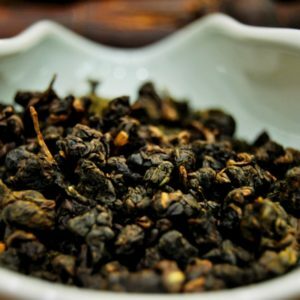 Oolong is the tea type found on the tea continuum between green and black. 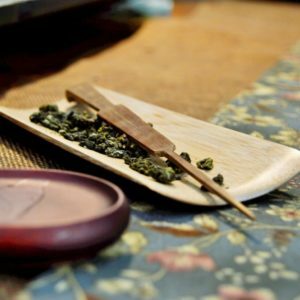 We visited one of our tea sources in Taiwan to learn about oolong. Its wet, steep, mountainous regions make for prime oolong growing environs. 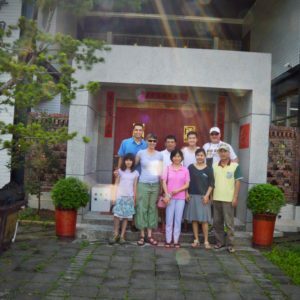 In Taiwan we learned that growing tea is a family affair. Everyone has a role – tea master, marketer, tea house manager, local and and international distribution, public relations, etc. We stayed at the high mountain tea farm and we slept where the pickers sleep, and walked the rows and rows of camellia sinensis, and sipped steep after steep of mouthwatering oolong.